The Katherine region holds many events throughout the year, each containing fun and excitement for the whole family. 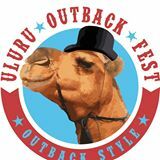 A legendary party at a legendary pub with events and activities including a ute muster, rodeo and ball. 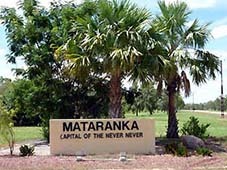 This is one of the best known fishing competitions in the Northern Territory and has been run for many years. Held on Easter Saturday and Sunday each year, this competition has categories and prizes that give everybody a chance to win. The Easter Classic isn’t just about the fishing. Entertainment is provided on three nights – Friday, Saturday and Sunday. Contact the King Ash Bay Fishing Club, ph: (08) 8975 9800, web: http://www.kingashbay.com.au. Each year the Darwin Flyrodders hosts the Territory Freshwater Open using the iconic Corroboree Billabong which has over 50 kilometers of navigable waters. The premier species targeted are Barramundi and Saratoga, with others such as Tarpon, Sleepy Cod, Longtoms, Catfish also eligible for points for length. The premier species earn double points. The base for the Competition is the Corroboree Park Tavern on the Arnhem Highway which is only a 15 minute drive to the launching ramp. This is a catch and release competition held annually at the beautiful Corroboree Billabong, part of the renowned Mary River. Over the three days of the long weekend in May there’s a variety of outback, adrenalin pumping rodeo events to check out… as well as some that you can join in on if you are game. Each evening there’s live music and entertainment as only the Daly Waters pub can provide. A magical weekend filled with fun for all the family. 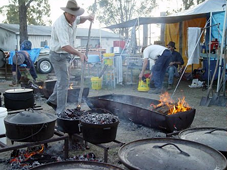 The weekend starts with a cattle auction on Friday afternoon followed by a family evening of “Walk-Up” bush yarns and poetry and a camp oven stew and damper meal. Saturday a Family Fun Day in the park, book signing at The Stockyard Gallery. Sunday a Bush Chapel service and markets with something for everyone. Located at the foothills of the beautiful MacDonnell Ranges, Pioneer Park and the Alice Springs Turf Club are home to the richest county cup carnival in Australia with $100,000 in prize money up for grabs. The races run over the May long weekend, from Friday to Monday, Monday being the BIG day for the XXXX Gold Alice Springs Cup. Experience the ways of the indigenous people in this remote region, with a sports program plus didgeridoo workshops, dance, arts and crafts demos, bush tucker tastings and spear throwing. 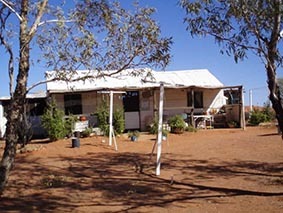 Held in June the on Brunette Downs Station, which is situated on the Barkley Tablelands of the NT, 135kms north of the Barkly Homestead, and approx. 350 kms North-East of Tennant Creek. 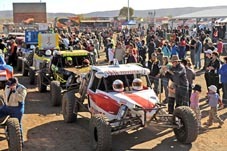 The station hosts four days of non stop outback fun and entertainment including amateur horse racing, campdrafting, rodeo, gymkhana, kids and adult events as well as art and photography exhibitions. 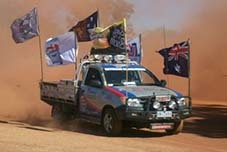 Camel Cup is an amazing race that is iconic, quirky and its reputation reaches far beyond Northern Territory soil. 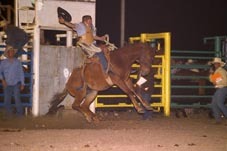 The Cup is held annually on the 2nd Saturday in July in its own arena at Blatherskite Park, a section of the Central Australian Show Society grounds. 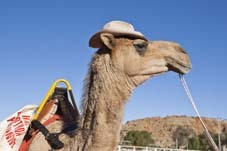 The family and fundraiser event is well known for its unpredictable and very entertaining camels as well as the brave and crazy riders. Entertainment is assured, with nine unique races scheduled throughout the day. There will be lots of action between races, too. Belly dancers, rickshaw races, 'Kids Kamel Dapers' hobby camel races, rides, Mr and Miss Camel Cup challenges, food stalls and bars will add to the carnival atmosphere. The Darwin Lions Beer Can Regatta is a project of the combined Lions Clubs of Darwin and is held at Mindil Beach, Darwin. Come and enjoy a great family day. There are beach events for all ages and the water events will be spectacular! Entrance is by a gold coin donation. 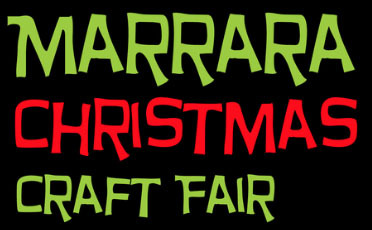 Proceeds go to projects of the combined Lions Clubs of Darwin. Bar facilities are available. There is no BYO due to their licence. Soft drinks and water will also be available. Mindil Market food and craft stalls will will be trading all day. 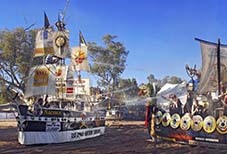 Alice Springs’ premier two-day event, the Alice Springs Show brings the community together each July. The first show was held in 1960 and the event retains a certain nostalgia and magic, the opportunity for experiences which happen ‘Only at Showtime,’ whether that be a dagwood dog, ride on the dodgems, catch up with old friends or the delight as your child sees they’ve won a prize for their cupcakes. Beside all the normal show events and activities there’s an art & photography display, craft display, hobby display, and lots more. Enjoy the rodeo, campdraft, dressage, show jumping, polocrosse and side shows and stalls at this rural show. Held at the Katherine Showgrounds, Victoria Highway. Australia is known as a very big island nation. At its geographic centre 1,500 kilometres from the coast is Alice Springs, which hosts the famous Henley-on-Todd Regatta on the 3rd Saturday in August. 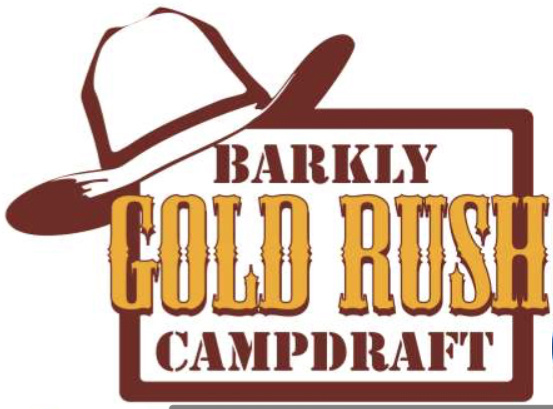 Join in, have fun, or just enjoy the hilarity from under the shade of gum trees on the edge of the dry Todd River bed, and help raise funds for charity. You could make your own boat and even join in the Grand Parade! Alice Springs Rotary Clubs have had over 50 years to perfect the one-day event. Henley-on-Todd Regatta begins with a street parade of all entrants through Todd Mall to the Todd River. Held over 10 days usually in September, singers, musicians and audiences from Alice Springs and Central Australia and visitors to the region experience something special with choirs from the vibrant multi-cultural community coming together to present a series of events that showcase the unique culture of Central Australia. 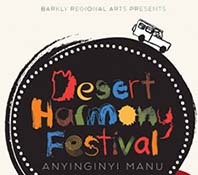 For more details go to: http://www.desertsong.com.au. The Jabiru Mahbilil Festival is a one-day celebration of cultural diversity and community. Running from midday to midnight, Mahbilil is orchestrated to shift in mood as it progresses. During daylight hours, it is a family friendly event crammed with activities, workshops for kids, rides, displays, Indigenous art exhibitions & demonstrations of weaving, painting and other crafts. Local showcasing includes the art and performance workshop products from the Jabiru Youth Centre and The Jabiru Area School. Food features prominently with large earth ovens with buffalo, barramundi and the speciality of the region, magpie goose. Join in the fun with competitions that include spear throwing, didjeridoo blowing, magpie goose cooking and kite-making and flying.